The Family Medicine – Primary Care Clinic is your doorway to comprehensive medical care for your entire family – from newborns to seniors. Our primary care physicians, who are participating providers for most managed car plans and commercial insurance, are knowledgeable, compassionate, and accessible. We provide primary care expertise in a full-service clinic and offer a broad spectrum of health services, ranging from preventive care to chronic disease management. If specialty care is needed, our physicians will provide a referral while continuing to manage your overall care. 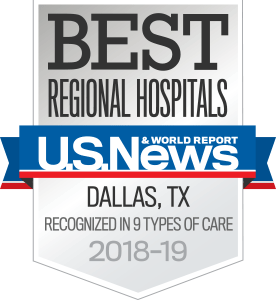 The goal of the Family Medicine Primary Care Clinic at UT Southwestern is to provide families and individuals with the best medical care available for every stage of life. As a certified medical home, our physicians and health care professionals will always take time to address your health concerns and answer your questions.